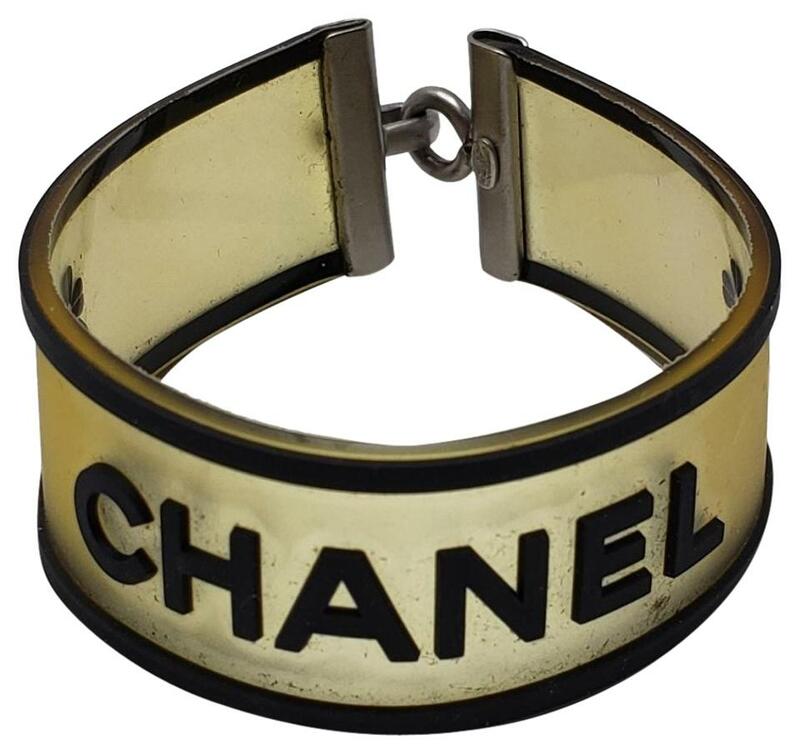 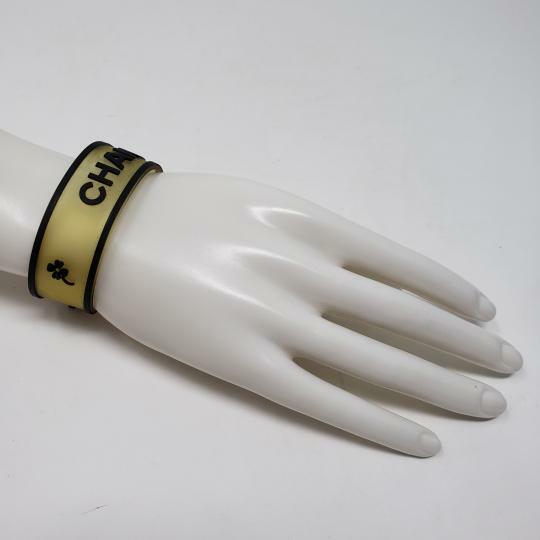 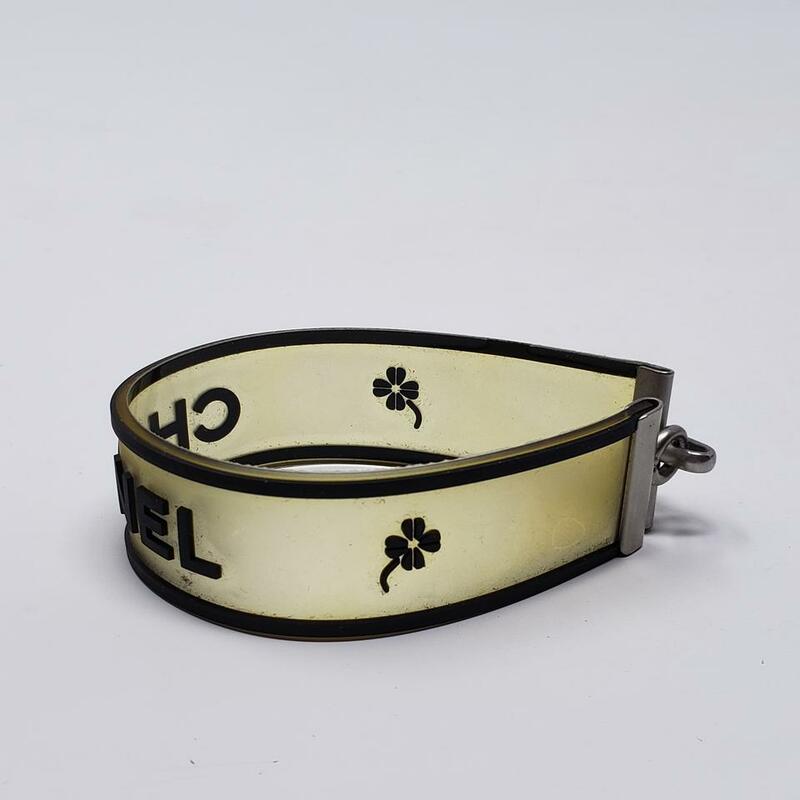 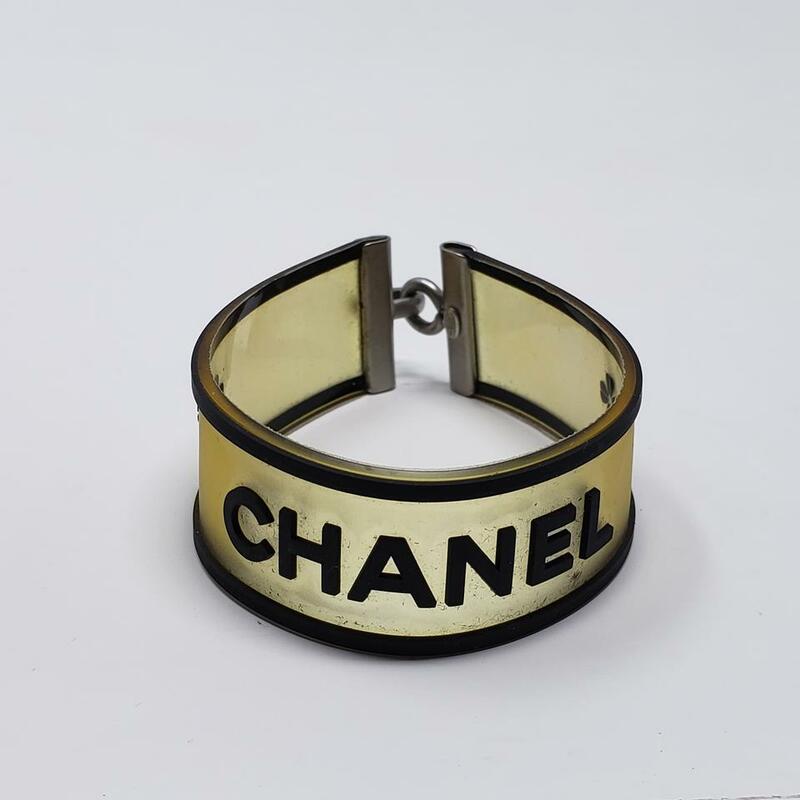 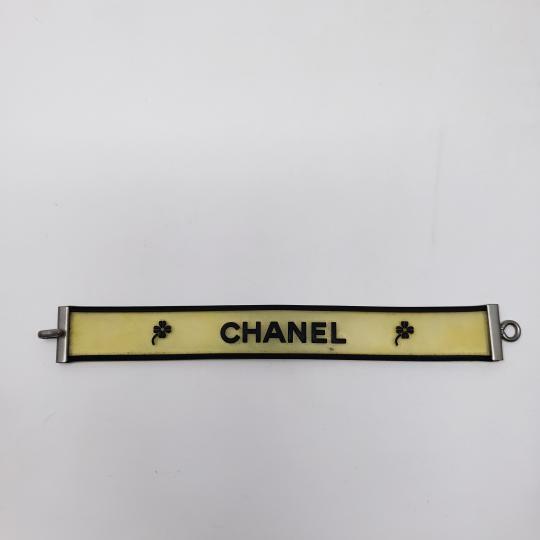 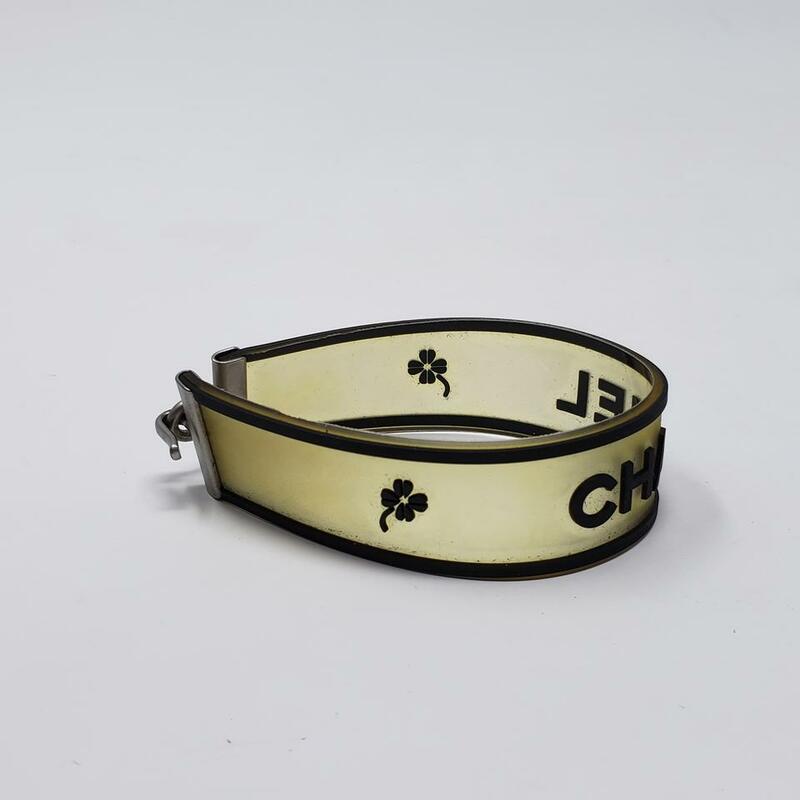 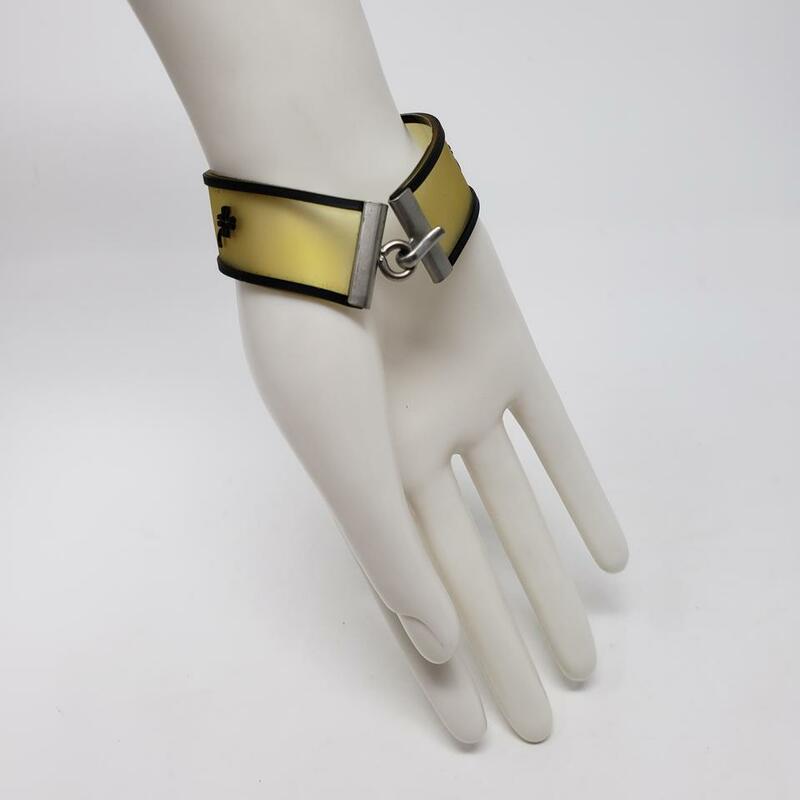 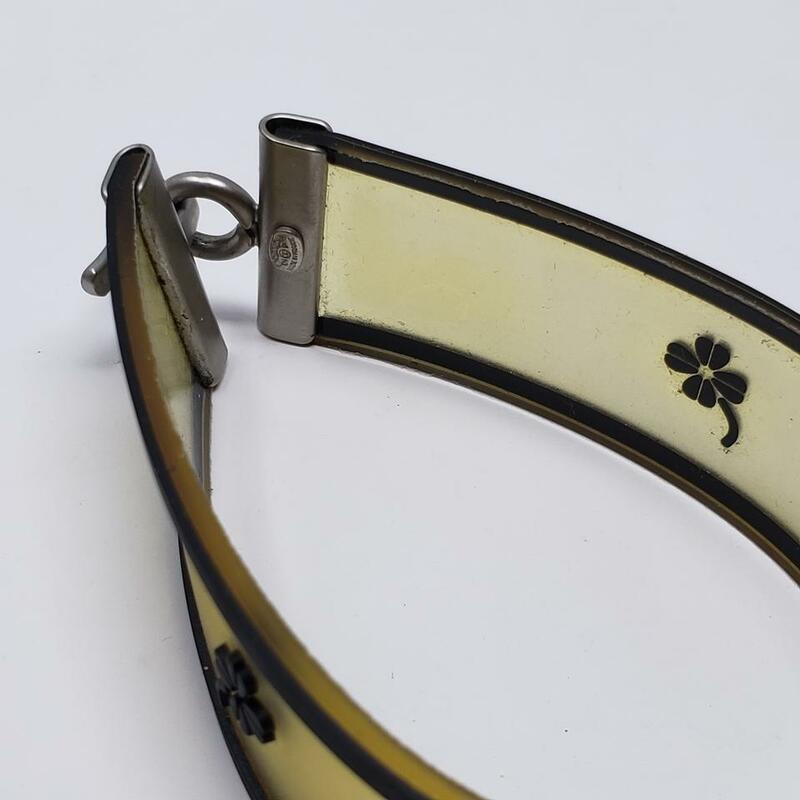 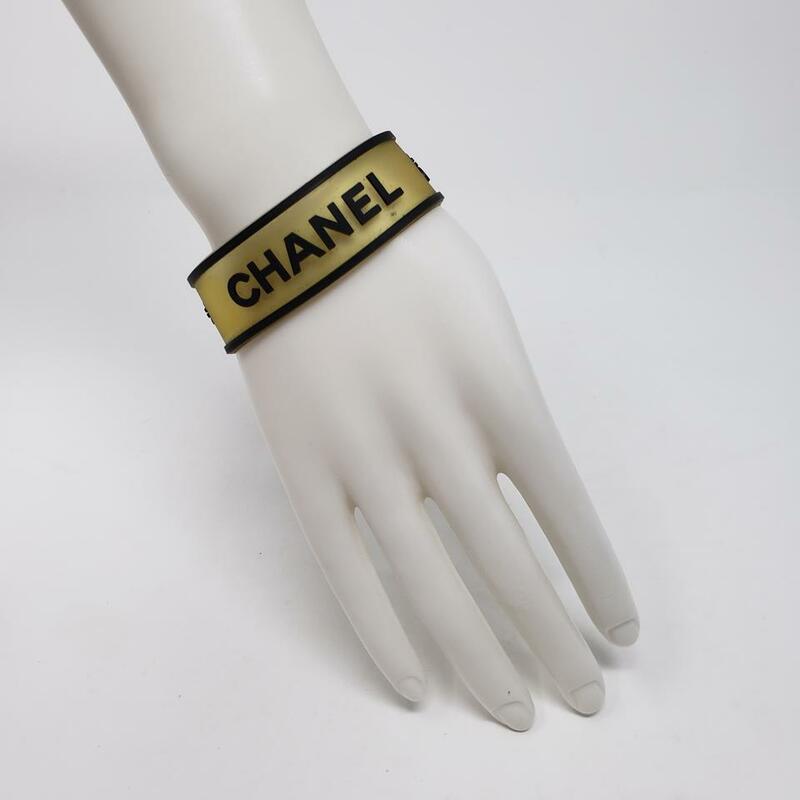 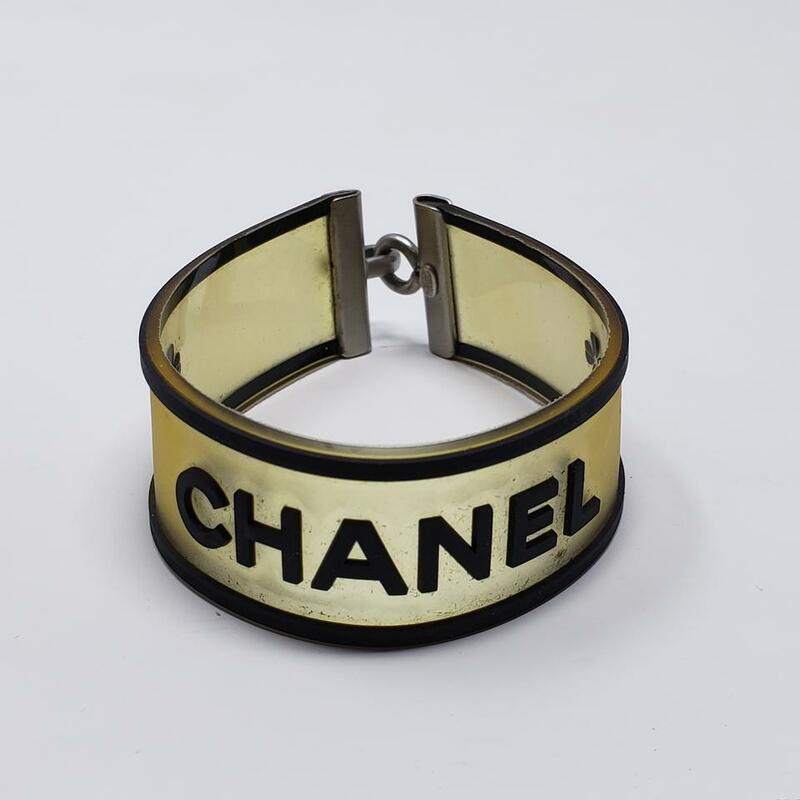 Rubber Chanel clover bracelet featuring designer signature and silver-tone hook closure. From the Spring 2001 Collection. 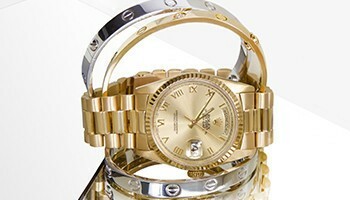 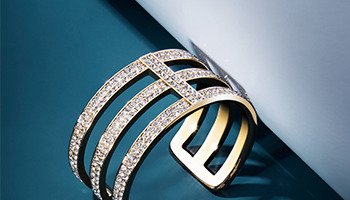 Fit: Fits a wrist size of 6.5" or smaller. 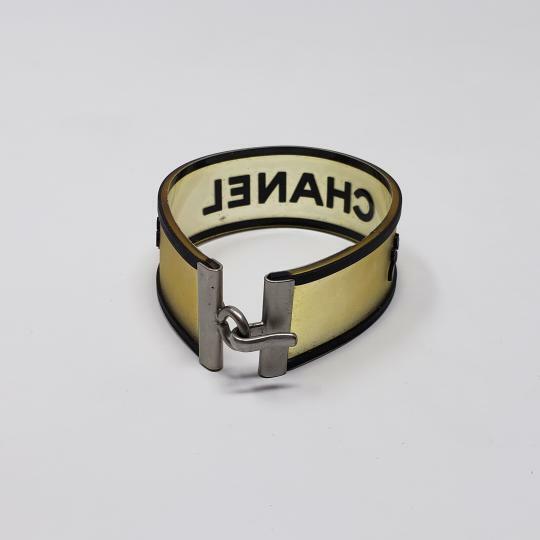 Measurements: Inside Circumference 7", Width 0.82"
Very Good. Faint markings at rubber.